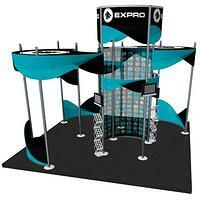 The most widely used trade show display in the world. Available in over 70 countries! 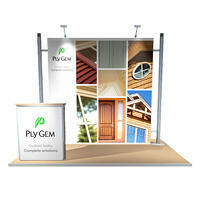 Definitely our most popular modular trade show display system. Octanorm is the ultimate customizable display system—its strength is incomparable. Small or large, standard configurations or completely customized, the sky is the limit with this system. Check out the galleries to get started! Octanorm is an anodized aluminum extrusion that connects together with a lock-and-tool system to create the display framework. Rollable graphic panels, fabric panels or sintra panels can be attached to the Octanorm extrusion to create graphic walls. Metallic Diebond panels, clear or frosted Plexiglas, perforated metal, or wood laminates also make great walls. We’ve reimagined the traditional Octanorm exhibit by printing graphic panels that simply magnet onto the frame. This creates a mural-like graphic finish that simply rolls up into a compact case for shipping. Or print to a fabric, to create a larger graphic span while minimizing your shipping costs. 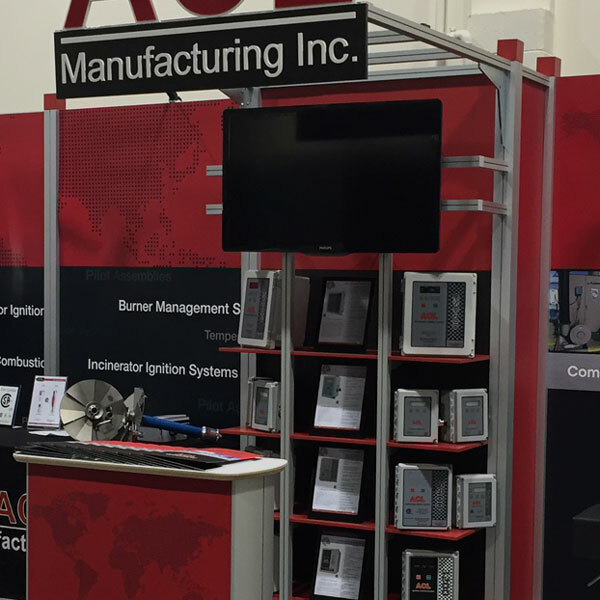 Displays can be customized to create a one of a kind, unique modular exhibit that meets a client’s specific requirements without the timeline for production and cost that a custom display has. 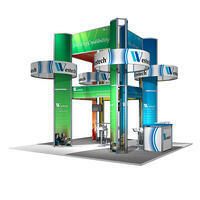 Sit down with our designers and build the booth that works for you. Octanorm can support just about anything—trucks, people, equipment from the field—you name it. 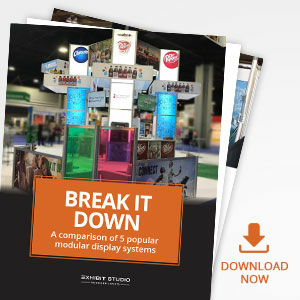 Octanorm is the best modular system on the market for double-decker exhibits. Create private meeting areas for your VIPs by adding a second story. Whatever you need, we can build it with Octanorm. 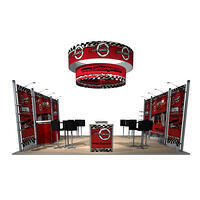 Octanorm hardware allows multiple configurations based on changing exhibit sizes, heights and needs. We can easily design additions and extensions that seamlessly adjust your display to fit a larger booth space when needed. Depending on the Octanorm display you choose (or design) we can build the components to fit into standard, flat packed portable shipping cases, or into a custom built, high quality road case. 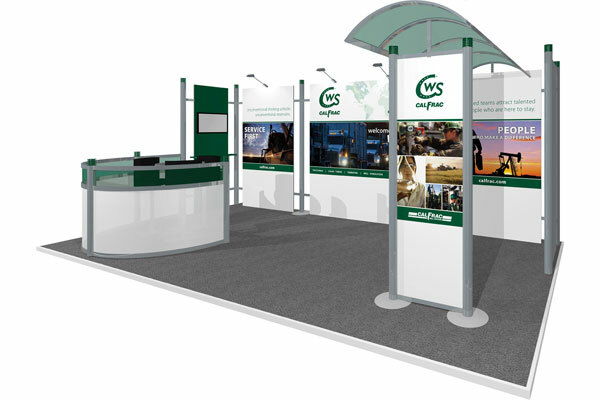 SAW Communications has worked with Exhibit Studio to produce a number of display pieces over the years—and will continue to do so due to the outstanding service provided. 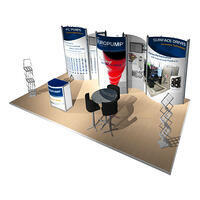 Among many of the projects we have partnered with Exhibit Studio on is Calfrac Well Service’s 10' x 20' booth. When we design something, we always want to partner with the best printers we know, so the final product comes out as (or better than) we imagined. We use Exhibit Studio for their great printing quality as well as their impeccable service and knowledge of the trade show industry. As always, Tracey was prompt in providing all of the necessary quotes and specs, was diligent in ensuring that the design and hardware worked together, and was a huge asset when it came to show logistics. 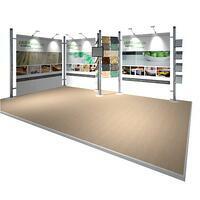 I would recommend Exhibit Studio to anyone looking for displays or help with show logistics—without hesitation.